In addition to social and communicative deficits, many studies have reported motor deficits in autism spectrum disorder (ASD). This study investigated the macro and microstructural properties of the corpus callosum (CC) of 18 children with ASD and 12 typically developing controls using diffusion tensor imaging tractography. 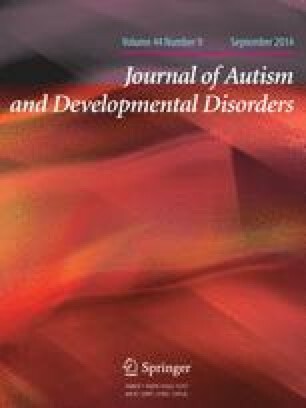 We aimed to explore whether abnormalities of the CC were related to motor deficits, as well as social and communication deficits in children with ASD. The ASD group displayed abnormal macro and microstructure of the total CC and its subdivisions and its structural properties were related to socio-communicative deficits, but not to motor deficits in ASD. These findings advance our understanding of the contributions of the CC to ASD symptoms. This work was supported in part by research grants from the Ministry of Education, Culture, Sports, Science and Technology of Japan (23591494 to K.K-S, 24659497 to M.T) and by the Osaka University Program for the Support of Networking among Present and Future Women Researchers (to M.I). We thank Mayumi Wada and Shun Ochi for helping with our volumetric analysis and are grateful to all of the children and parents who participated in this study.